Please contact Laurie Polkus at [email protected] or (262) 691-1173 X1109 or fill out the form below for more information on these Ministries. Prayer & Worship Committee: Oversees the communal worship of the parish and coordinates the various subcommittees and liturgical ministries. Meets on the second Monday of the month at 6:30pm for Common Leadership Night. Minister of the Word/Lector: Proclaims the Word of God at liturgies. Confirmed, high school age and older are welcome. Training & resources are provided. Scheduled about once per month. Minister of the Eucharist: Laity are privileged to share the Body and Blood of Christ with the faithful. Any confirmed member of the community is welcome. Training is provided. Scheduled about once per month. Eucharistic Adoration: Adoration of the Blessed Sacrament. A personal, quiet, meditative time with Christ present in the Eucharist. Select an hour that you can commit to every week. 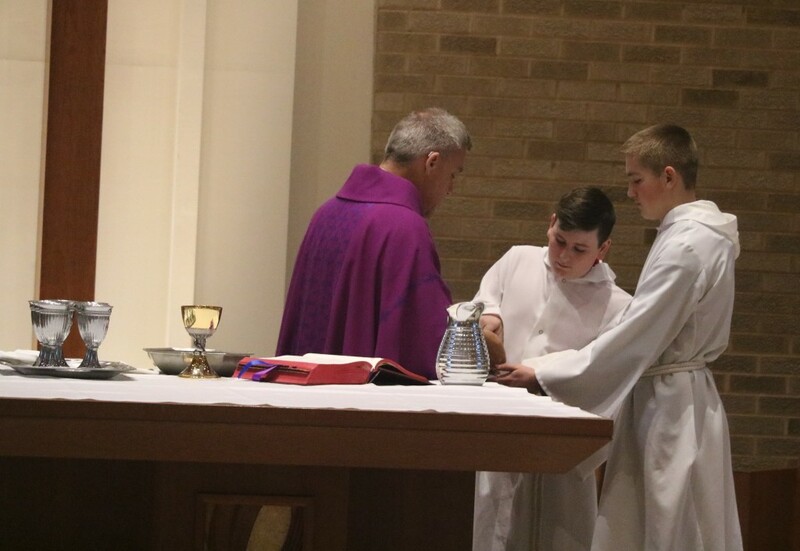 Altar Server: Serve during Masses. Training is provided for adults and youth. Minister of Hospitality: Greets community members as they gather for worship, assists visitors, and provides information. Scheduled once every two to three months. 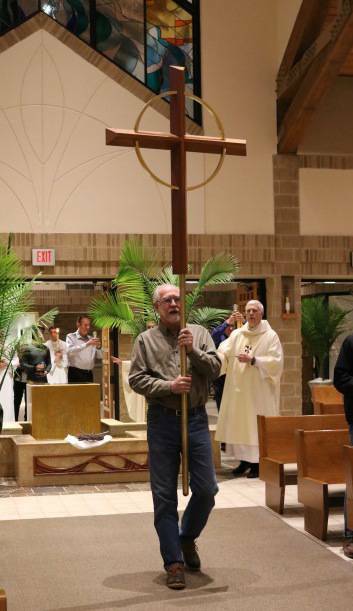 Cross Bearer: High school and older carries the processional cross at Mass. Scheduled about once every two months. Usher: High school and older, male/female, welcomes and assists parishioners and collects their gifts at Mass. Scheduled for two months during the year. Offertory Gift Bearer: Individuals or families bring the gifts of bread and wine to the altar during the Mass. supplies, keeping plants and flowers watered, and installing and removing all decorations. Altar Angel: Cleans the altar, church linens, and sacred vessels and replaces the candles. Assigned two months each year. Prayer Line: We treasure the prayers of those who are not able to participate in other ways, except through this prayer network. You will be e-mailed on an “as needed for prayers” basis, and asked to pray at home for those on our prayer line. Mission Planning Team: Meets to discuss the focus, organization and implementation of the Lenten Mission. Childcare Helper: Cares for children during all Masses on an occasional basis. A one time Safe Environment class is required. Adult Choir: Rehearses Sept-May each Thursday at 7:00pm in the church, and occasional Saturday mornings during Advent and Lent. Usually sings at 9:00am Mass on Sundays, various events, and celebrations during the year. Adult Cantor: Proclaims the psalm and leads the assembly in song at Mass. Rehearsal CDs are provided at regularly scheduled meetings. Must be a member of the adult choir. Instrumentalist: Musicians of all kinds are encouraged to accompany at Mass. Rehearsals vary. Various styles of music welcome! Resurrection Choir: Sings on an as-needed basis. Rehearses a few times a year, and prior to funerals. Contemporary Praise Group: For anyone interested in a contemporary prayer and worship experience. Handbell Choir: Practices on Saturdays prior to Christmas, Easter, and other major feasts and celebrations. Prior experience or ability to read music is appreciated, but not necessary.